In our previous article, we explained how to uninstall Steam – a popular platform for game lovers. Today we are going to take a look at another game platform – Blizzard Battle.net. The Blizzard app is loved by many users due to its simplicity and being free of charge. But, for whatever reason, you may want to uninstall Blizzard games. 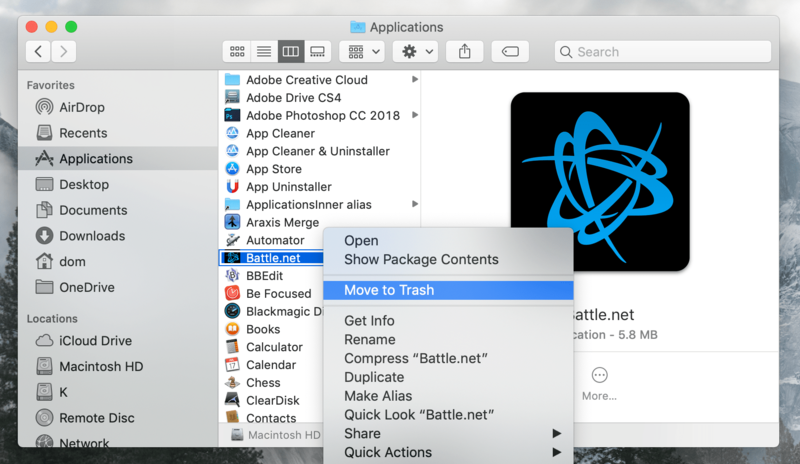 If so, here is a detailed guide on how to uninstall Battle.net games on your Mac. How to uninstall the Blizzard app manually. How to uninstall the Blizzard app using App Cleaner. 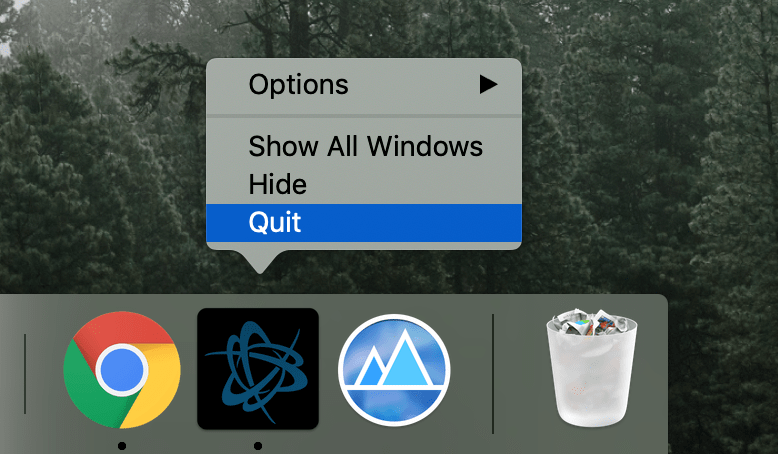 To uninstall any application on a Mac correctly, you should remove not only its executable files but also its service files created while you were using the app. The same is true for the Blizzard app. 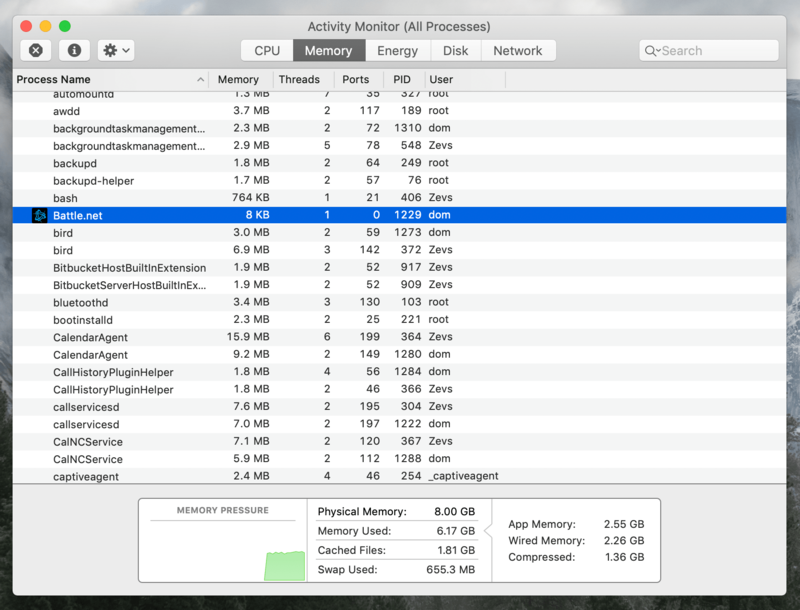 First, quit the application and make sure that there are no associated processes working in the background. Open Activity Monitor, search for Battle.net and close it by clicking the appropriate button in the top-left corner. Then go to the Application folder and remove Blizzard from there. Now you should find and remove the leftovers of the Blizzard application. By default, applications store their service files in the system Library folder. This folder is hidden by Apple in order to avoid users deleting important files necessary for the proper system working. 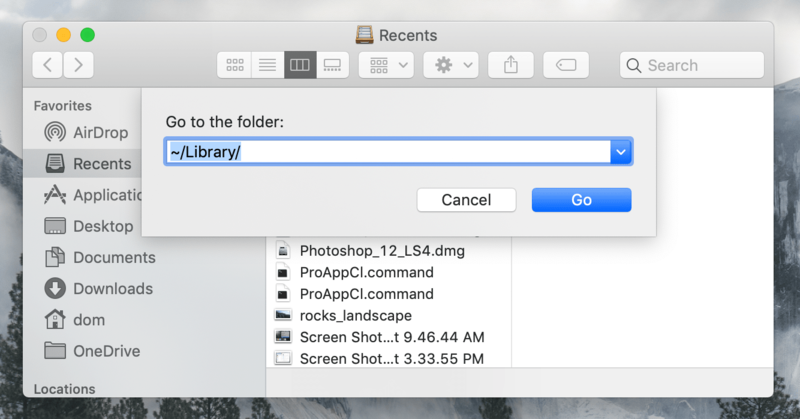 To open the Library folder go to FInder → in the menu bar click Go → select Go to Folder… → in the search field type ~/Library and click on Go. Also, read in our previous articles another way of how to get the Library folder. 5. The final step is to go to Trash and empty it. As we mentioned above, the Library folder is hidden to protect the system from important files being deleted by the users. Also, you should keep in mind, that there are some applications that scatter their service files over the Mac hard drive and it can be difficult to find all the leftovers of deleted apps – at any rate it may take too much time. That’s why, in order to save you time and to avoid deleting necessary files accidentally, we recommend that you use a special utility called Mac App Cleaner & Uninstaller. 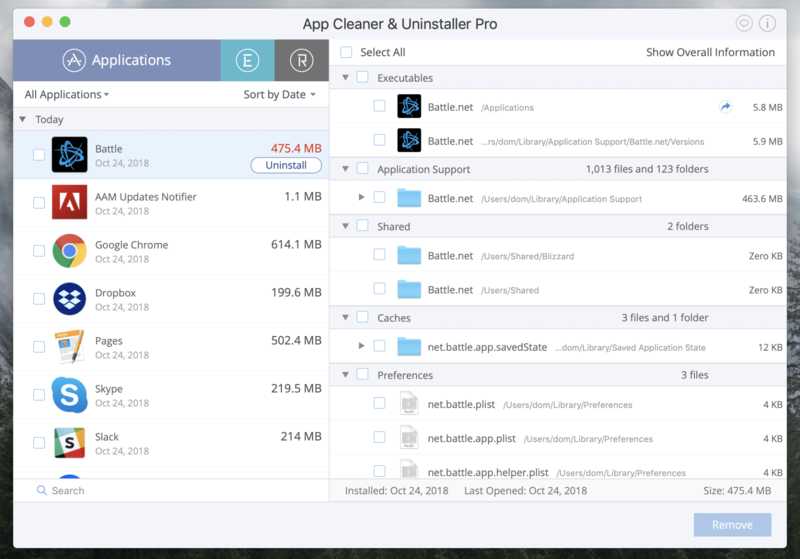 App Cleaner & Uninstaller is a program to uninstall applications on a Mac completely without leaving any remains. App Cleaner finds all the service files of the apps efficiently and it even displays the support files of previously removed apps. You can download a free trial of App Cleaner & Uninstaller and try it right now. Watch the video to see how it is easy to remove Blizzard from Mac using App Cleaner. Launch App Cleaner and wait until it finishes scanning your apps. Find and select Battle in the list of applications. 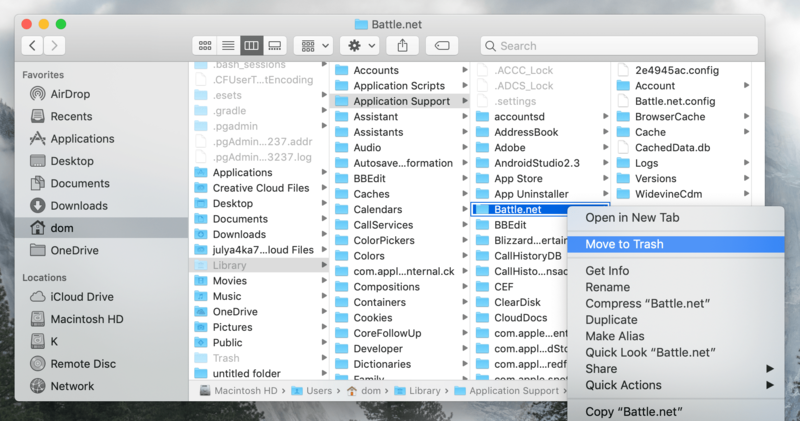 In the right section, you can see all the files associated with Battle.net, such as caches, preferences, application support, executables and so on. Then review the files to be deleted and confirm the uninstallation. That’s all! 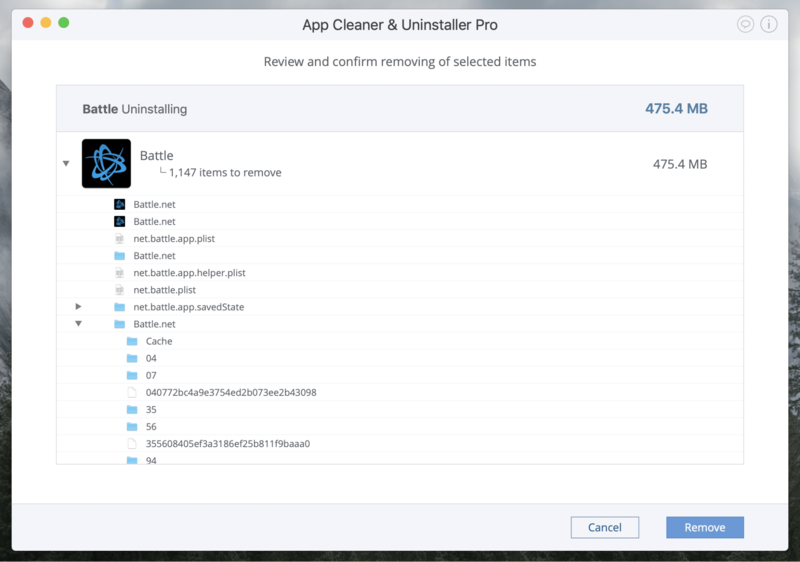 As you can see, uninstalling apps on a Mac is easy with App Cleaner & Uninstaller. But it’s them in the comments below. We’ll be happy to assist you.